A comprehensive set of infographics, maps and charts looking at the history of incomes and occupations in the U.S. Published in January 2013 | full-color | 164 pages. What is the income for different types of jobs?... Who makes the most money?... How does income in United States compare to other countries... How has income changed since the 1920s? 1950s? 1980s? 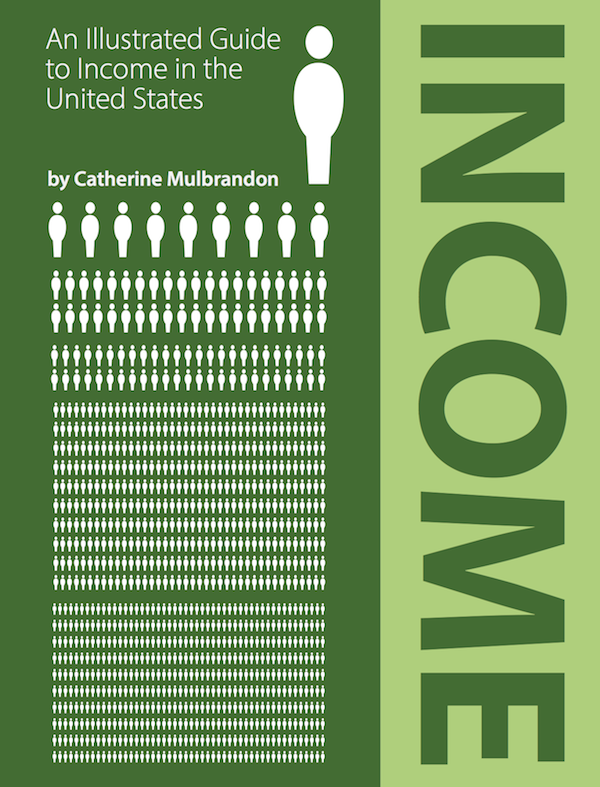 I designed a collection of infographics that tells the story of income in the United States. This is a comprehensive overview of the subject using data placed in historical context and will include NEW infographics created just for this collection. It has explanations for economic terms like CPI or GDP for those readers who don't have a background in economics. All the data will come from public data sources such as the US Census, IRS, Congressional Budget Office, Bureau of Labor Statistics, Bureau of Economic Analysis plus data from academic articles and other research on the subject. You can see the entire project proposal on my Kickstarter project page.